In the backdrop of this chorus is that the Kenyan judiciary has never ruled in favor of the petitioner in a presidential election. The chorus is thus informed by the idea that the petition will be buried in such a barrage of legal complexities that it will never materialize. A lot has changed, especially in the last few years, but the question is, is it enough? Most people remember this case only and with good reason. Matiba was the ‘rightful winner’ in the first multiparty elections, rigged out by an entrenced political system and weakened by wrangles in the opposition. You can call him Daniel…okay no, you can’t. 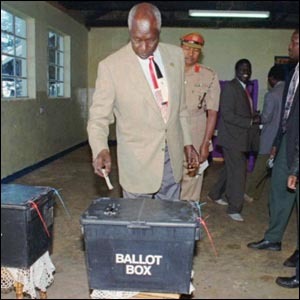 A strong candidate backed by the central region and basing his election on the incumbent’s errors in the his first 14 years in office, he lost because he and Kibaki (later 3rd President) split the core vote. Tereeeeen…oh, what’s that? Its no longer 1992? Ah…. In the second case (the first one matched the one filed by Orengo), Matiba covered the issue of intimidation, violence and other election irregularities. Moi, pictured here casting 1000 votes. Orengo’s petition challenged Moi’s eligibility on the grounds that he had already served two terms in office. The challenge was that the term-limits rule applied to Moi who had already served three terms : 1979-1983, 1983-1988, 1988-1993. The case was simply about the intention of Parliament in passing Act No. 6 (1992) which the petitioners in the three different cases argued should have been retrospective (applied to Moi as well as future presidents). 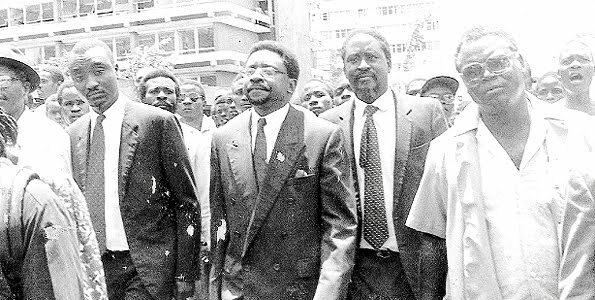 Orengo, and the rest of the Young Turks. ..and no, the beard was not a necessity…. Kibaki in 1997 was Matiba in 1992, number 2 and clearly rigged out by the incumbent. 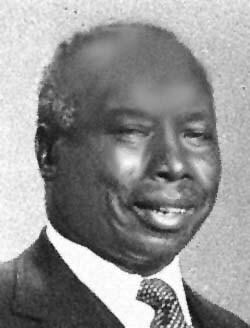 Kibaki published the notice of petition in the Kenya Gazette, the official government publication which Moi by his duties as a citizen and president should have been able to access and read. Judges Emmanuel O’Kubasu, Mbogholi Msagha and Moijo ole Keiwua struck out Kibaki’s petition on the simple basis that he had not personally served Moi with the petition. This decision was later upheld in the Court of Appeal by Judges Chunga (CJ), Aa Lakha, Owuor JJ and Omolo (again). This clearly unfair decision led to the explicit declaration in the new petition rules to avoid such a scenario: “Upon filing a petition, the petitioner shall serve the petition on the respondent within 24hours. Service of the petition on the respondent shall be —(a) directly on the respondent; or (b) by advertisement in a newspaper with national circulation,” Rule 8 says. 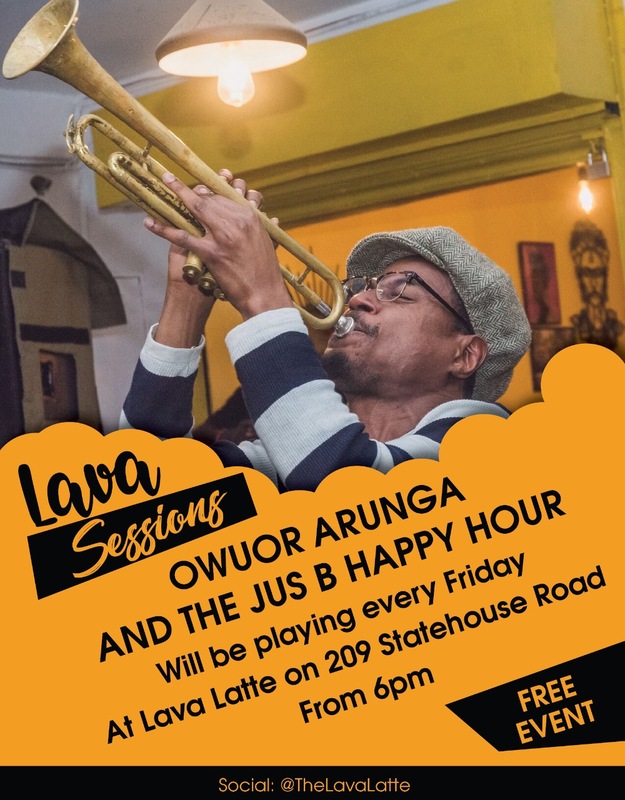 When Mwau entered the political scene in 1992 as a candidate for the presidency and the Westlands parliamentary seat, he did so with the flair that later became his personal brand. He was a former police officer with a curious interest in the letter of the law. Mwau, stickler for detail and with billions to burn, rushed to court and filed a petition seeking to nullify Moi’s victory on the grounds that he (MOi) and all other candidates had not been properly nominated. He argued, in part, that he be made President because all the other candidates had failed to use the ‘right paper’ to present the lists of their nominations. He had only garnered 6, 499 votes, 0.1% of the total vote, the least in the elections, even less than David Mukaru Ng’ang’a of whom I bet you have never heard. What was with this beard thing in 1992? While the case was dismissed, the court praised Mwau for his keen eye for detail, resilience and tenacity. ‘Stickler for detail’ does not always mean fashionable. 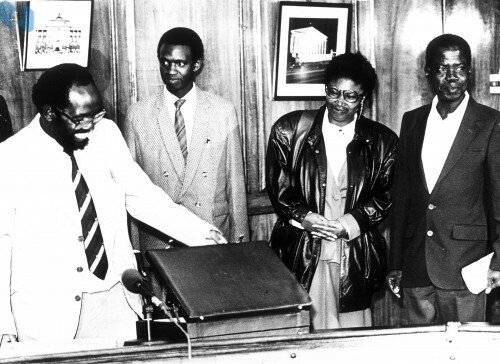 President Moi and all the other candidates, save for Mwau, in the 1992 election ignored the rules and presented their documents on A4 instead of foolscap paper. 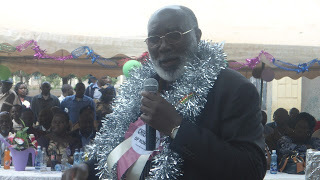 Mwau, representing himself, “implied that a pool of presidential candidates who could not understand the distinction between A4 and foolscap could not be fit for high office. He also stated during the case that the simple disregarding of such a key rule was an indicator that the president would likely ride to roughshod over the law.” Since then, presidential candidates have been extra keen on the stipulated size of paper. Whichever side one’s political allegiances lie, this case will be the ‘Mother of all Cases’. The CORD legal team is a curious combination of lawyers Mutula Kilonzo and Orengo as advisors, both on opposite sides in the case the latter filed against the former’s client, president Moi, in 1992. Also in the team is Gitobu Imanyara, another petitioner who lost a petition where Kilonzo represented Moi. Pheroze Nowrojee, another member of the team, represented was in Kibaki’s 1997/8/9 petition legal team. Note also the presence of Amos Wako, former Attorney General, in the legal team. If anything, this case promises to be precedent setting. 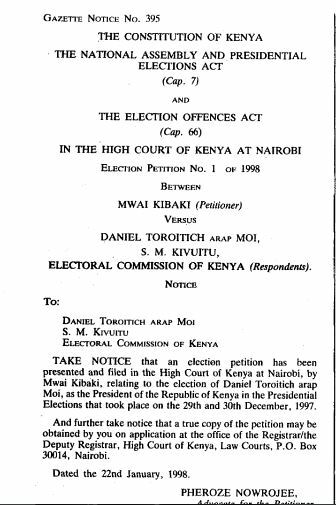 Note how the March 4th elections were defined by the previous presidential election petitions. The extra care paid to the type of paper, the method of filing the petition and the application for disclosure of evidence. The time the SCOK can take to determine the case is also explicitly stipulated, seeing that Kibaki’s petition against Moi was determined 18 months after the elections. 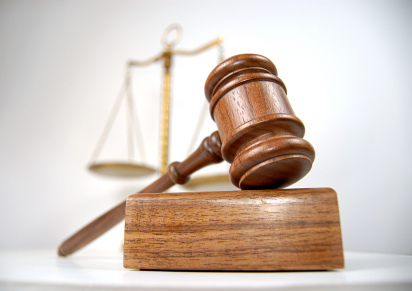 It’s time to test whether the Supreme Court of Kenya is another white elephant.